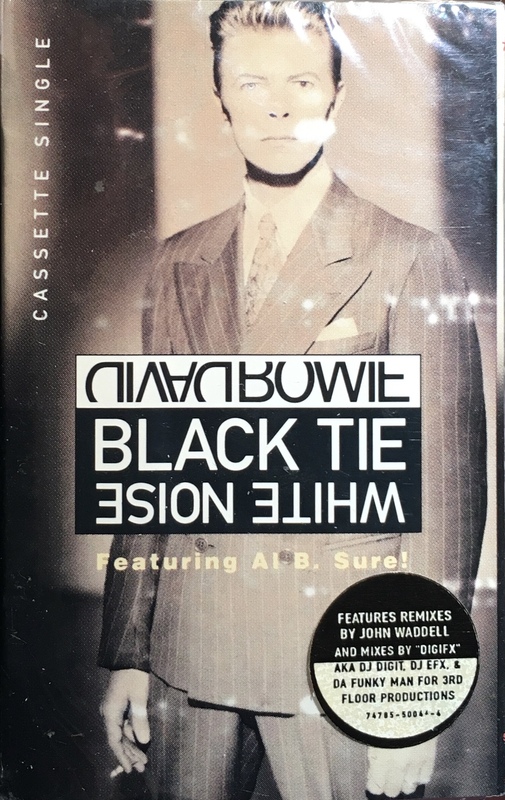 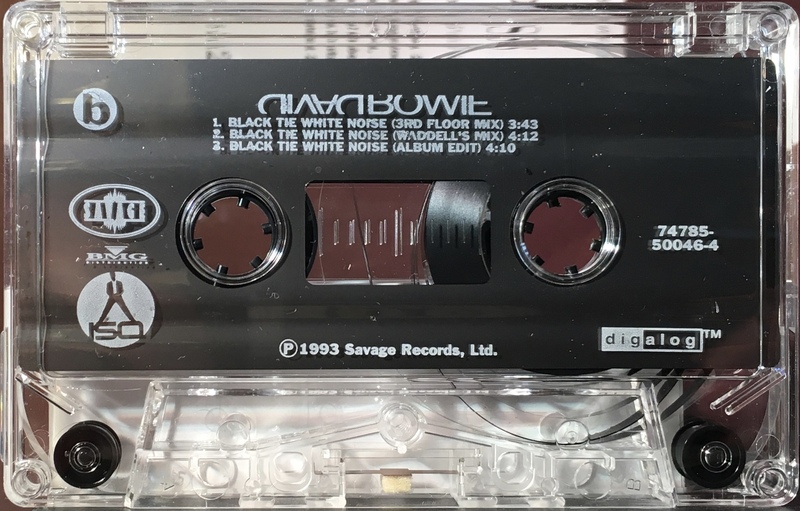 Black Tie White Noise: USA; Savage, 74785 500445 4; 1993. 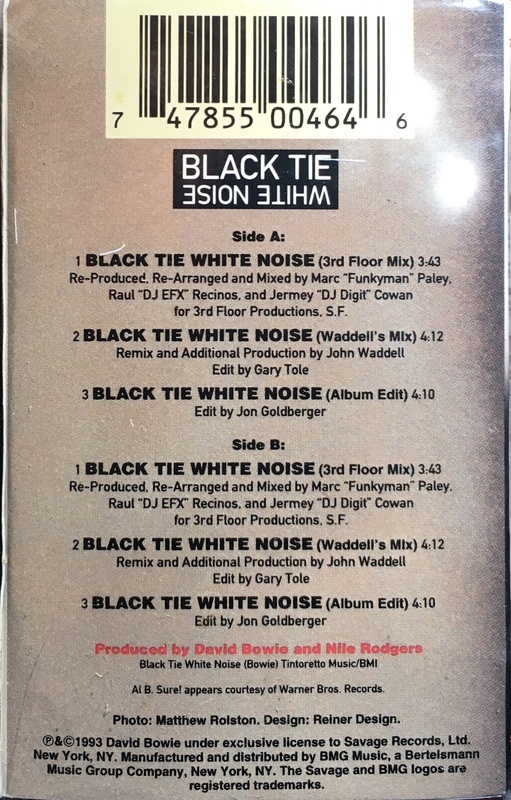 Picture, card slip-cover with sticker on wrapping; track list on rear panel. 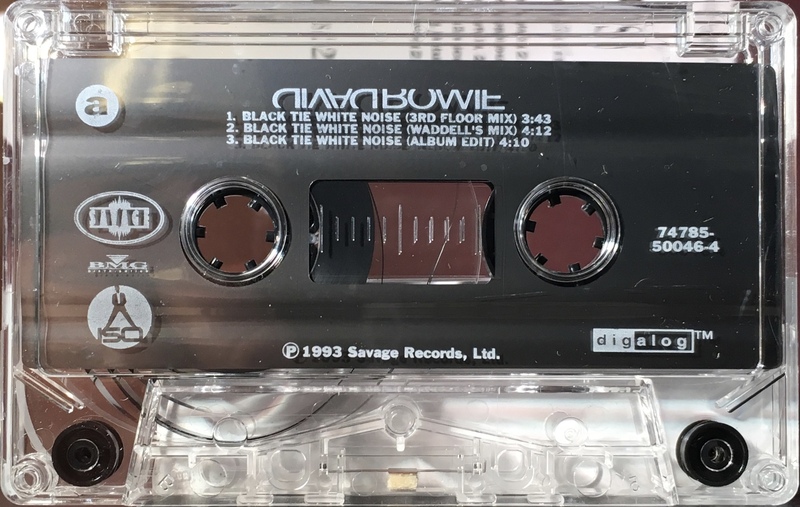 Side 1: Black Tie White Noise (3rd Floor mix) 3:43; Black Tie White Noise (Waddell’s mix) 4:12; Black Tie White Noise (album edit) 4:10.